It was exciting and gratifying to work on this large sign at one of the entrances of the prairie at Fond du Lac High School. After trails were put in around the geothermic ponds and the prairie restoration initiated, Margie Winter of Fond du Lac County Audubon Society had a vision for a two-sided sign that would inform visitors about the native plants. 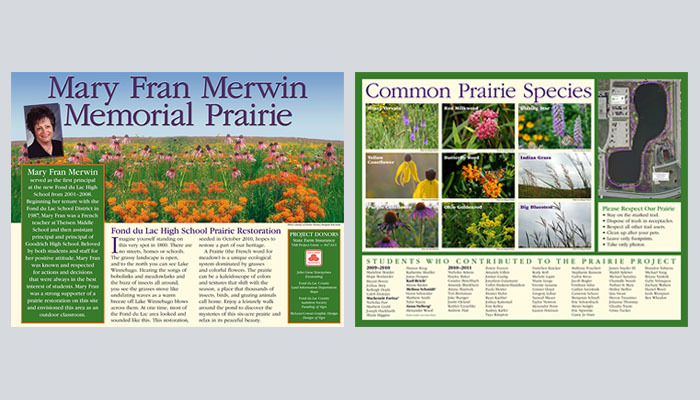 The prairie was named in honor of Mary Fran Merwin, a beloved principal of the high school who lost a battle with cancer. The sign also honors her legacy. We were honored to design a sign for the Ellen Flood Memorial Garden. 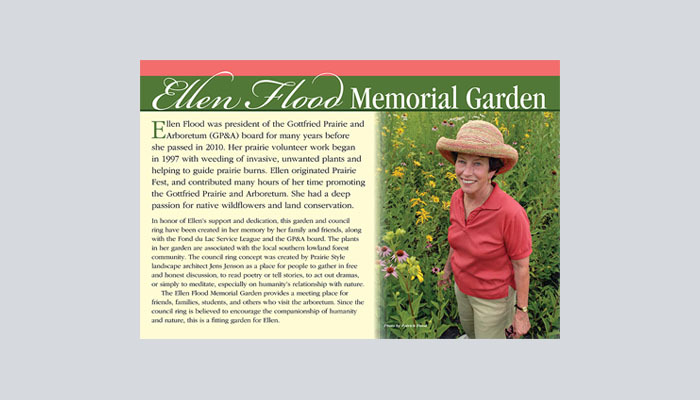 In memory of Ellen’s support and dedication to the Gottfried Prairie and Arboretum (GP&A), a garden and council ring were created by her husband, Jon, along with the Fond du Lac Service League and the GP&A board. The plants in her garden are associated with the local southern lowland forest community. The council ring concept was created by Prairie Style landscape architect Jens Jenson as a place for people to gather in free and honest discussion, to read poetry or tell stories, or simply to meditate, especially on humanity’s relationship with nature. 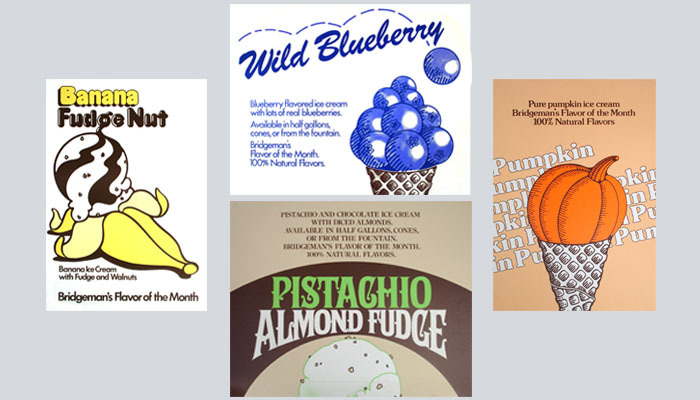 A very fun project, the challenge was to look at each flavor in a creative way and come up with a whimsical, illustrative depiction. The posters were displayed in retail locations. 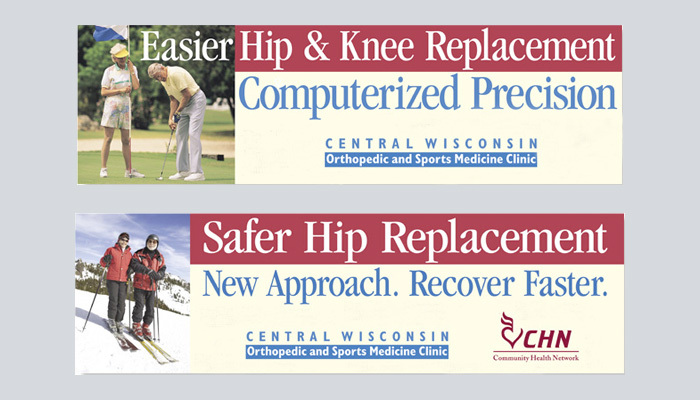 These billboards were displayed on Highway 41 between Oshkosh and Fond du Lac. This orthopedic surgeon wanted to clearly emphasize state-of-the-art technology helping to make mobility and an active lifestyle achievable for patients under his care.